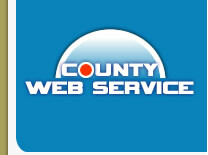 County Web Service's Web hosting buying guide helps you figure out the kind of Web host you need for the type of site you want to build, along with the features to expect and the traps to avoid. 1. What kind of Web host is best for my site? Picking the right Web host isn't an exact science. Your decision relies largely upon what you plan to do with your site, how much time and expertise you have available to devote to it, and what you can afford to pay. Here are the basic types of users and the kinds of hosts that are right for each. 2. What types of hosting are available? 3. What type of site do I want to build? Our Web hosting buying guide helps you figure out the kind of Web host you need for the type of site you want to build, along with the features to expect and the traps to avoid. Directory of providers which provides users a simplest way to find a provider according to their requirements. Cheap , best , provider, Cable, DSL, ISDN, Wireless, or any other type of high speed internet access provider you are looking for, you can find of your choice in Directory. You can search providers by city or area code, compare cheap providers. Get detailed info on Provider and perform advanced search to find provider that suits you. 8. Domain Names Security : How safe is yours ?